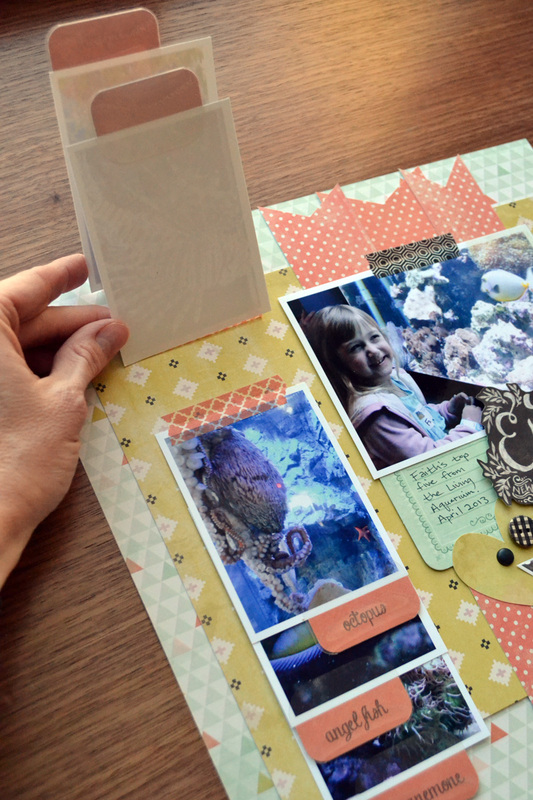 While the Tab Punch is super handy for keeping albums, files, and documents organized, it’s also great to use on scrapbook pages. 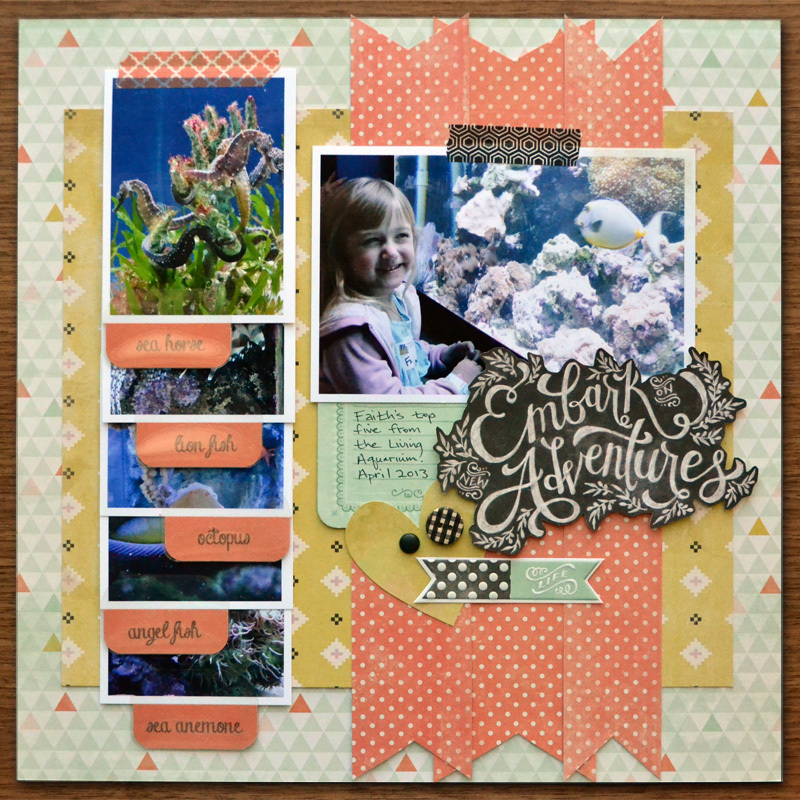 For this layout I had one favorite photo I wanted to include, and several supporting photos that I wanted on the page as well. I didn’t want to create a 2 page spread, so I decided to create an interactive element on my page instead. I created a photo flip book and used the Tab Punch to organize and give subtitles to my photos. I simply printed my subtitles on coordinating textured cardstock from the Chalkboard collection, punched them out, and added them to my photos with the Tab Stickers. I love that the Tab Punches each have a viewer on the bottom so you can line up your paper just right and see where you’re punching. What a great idea! I love the idea of laying similar pictures. Yes, there are so many great ideas around I can’t keep up! I want to do them all! !